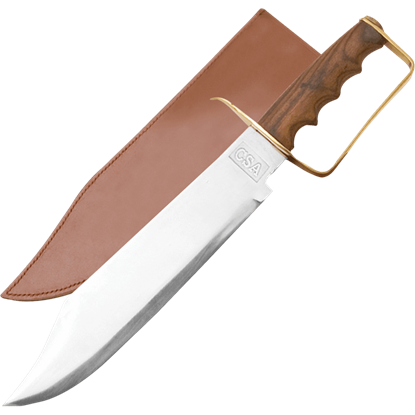 Exquisitely crafted to emulate the designs of bowie knives used by frontiersman, the 1917 Frontier Bowie Knife by Cold Steel is a beautiful battle-ready blade which is well suited for anything from camping to historical reenactments. 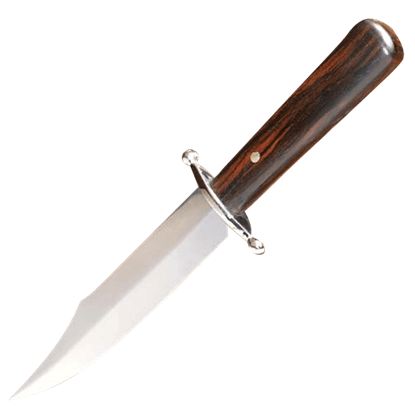 A mountain man needs a good knife, and the American bowie knife offers plenty of versatility for any survival needs. 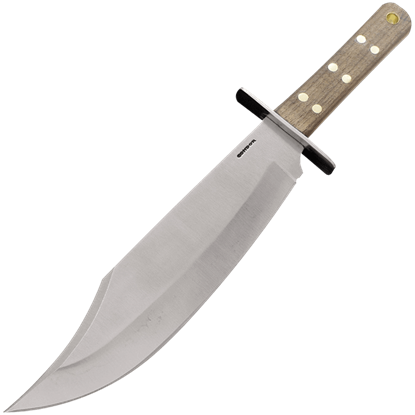 This Arkansas Bowie Knife combines the rugged and effective look of a mountain man knife with the iconic bowie blade. 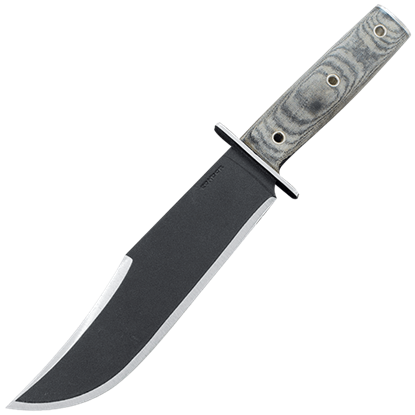 The Bowie Bushman Knife is a strong survival knife that is tough to beat. 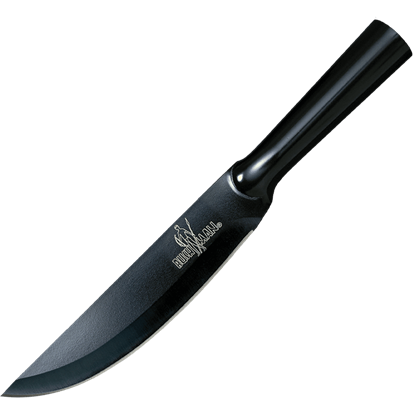 This knife features a bowie knife design, featuring a clipped point with a continuously curved blade ideal for skinning and cutting like you will not believe! 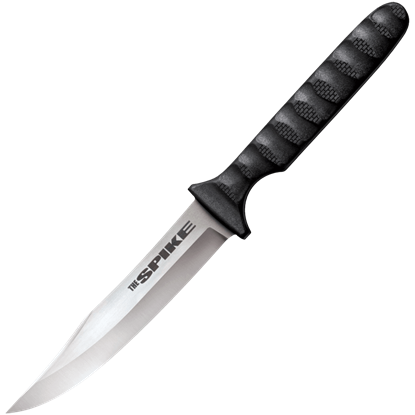 With a covert design and lightweight construction, the Bowie Spike Neck Knife is convenient to carry along on any given day. 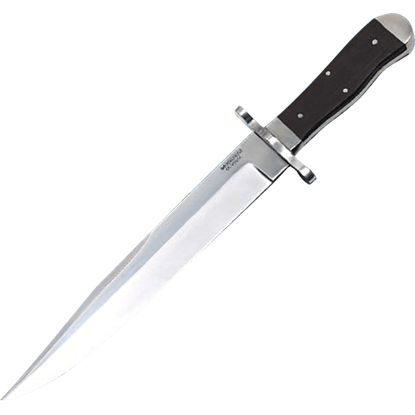 The blade is crafted from stainless steel and features a zero ground, bowie-style clipped point blade. The design of the coffin handled bowie pairs nicely with a fine blade, as this Brass Pinned Damascus Bowie Knife demonstrates. 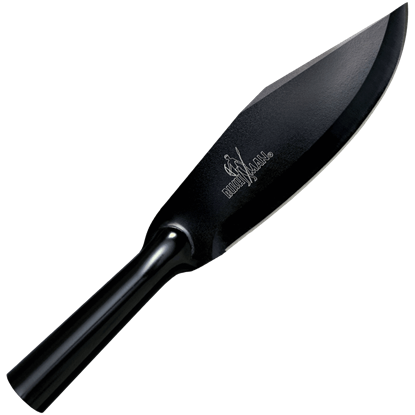 The combination of these time-tested designs makes this knife as effective as it is fine in appearance. It is not hard to see why a Bowie knife would have been the favorite knife of Civil War soldiers. 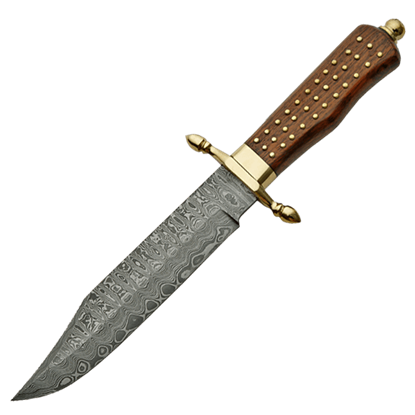 This Civil War Bowie Knife has an ornate look, although it still looks like a deadly blade that is fit for a soldiers hand. In the early 1800s, a blacksmith named James Black made a special knife for war hero Jim Bowie. Over the years, this design became increasingly popular. 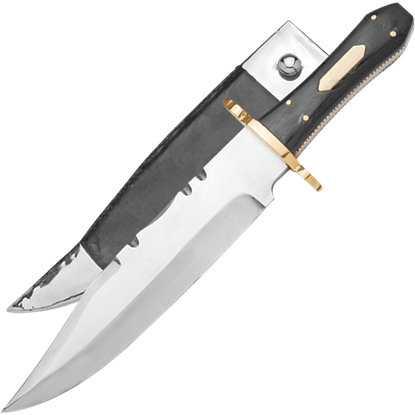 The Condor Operator Bowie Knife gives this classic knife some modern modifications. The American West was known for being a dangerous place full of conflict, where untamed beasts and humans interacted on the daily. 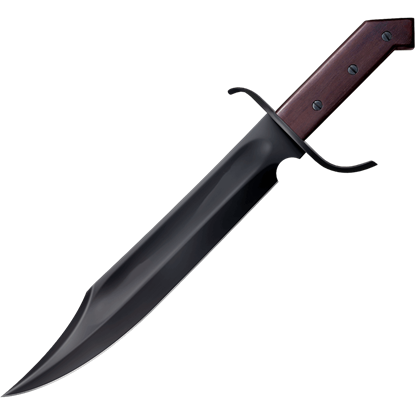 The Condor Undertaker Bowie Knife creates just the weapon to combat the feisty spirit of the Old West. 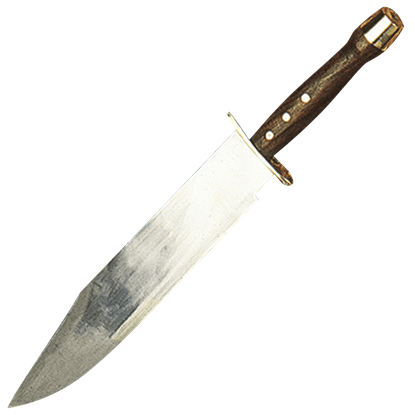 Troops on either side of the Civil War would have no doubt favored the Bowie knife as their preferred blade of choice, such as this CSA D-Guard Bowie Knife, a quite the impressive and intimidating little Bowie knife.